Llorens newborn baby dolls have been carefully selected from the vast range of baby dolls available on the market. We have chosen the most spectacular and they offer the highest quality for the best price for the consumer. Llorens dolls are 100% made in Spain from tactile vinyl and realist newborn skin tones. 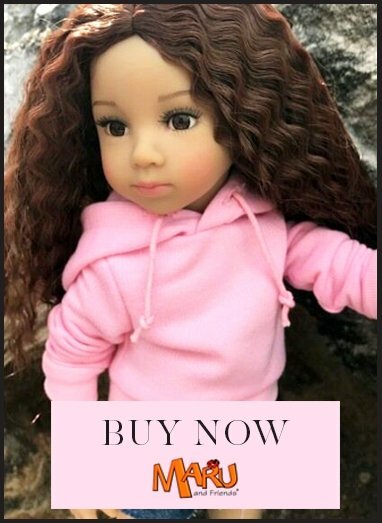 This baby doll is made completely in vinyl and is 35cm in length. She has sparkling blue fixed eyes with wonderful painted features to look very natural. Her hair is moulded. She is anatomically correct and has realistically sculpted body and limbs with baby folds and creases. One hand is closed tight in a fist, the other has open fingers. The doll's box doubles as a bed and the pink cotton bumper is tied at the corners of the box with ribbon.